Analytics and data science have seen rapid adoption across all sectors. 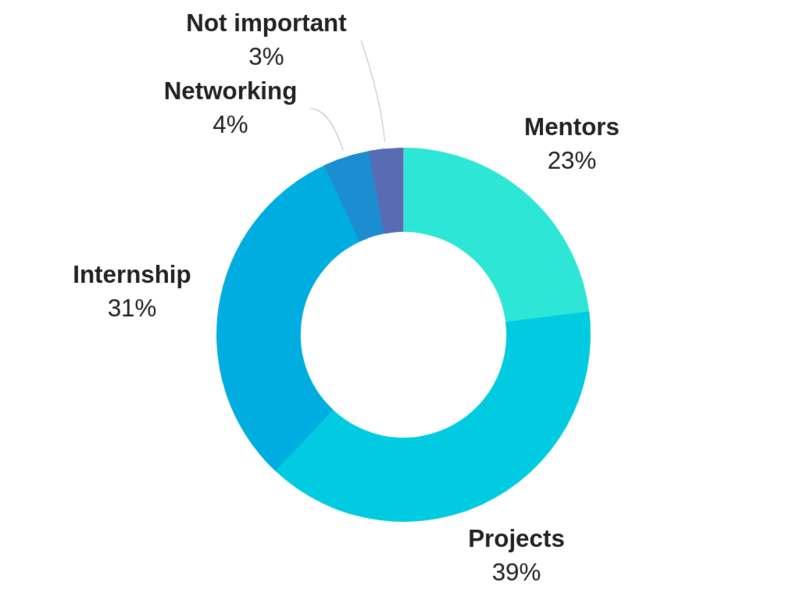 This month, we decided to find out what students look for when it comes to upskilling or educating themselves in this buzzing field. Be it the programme construct, brand value or cost — we strive to assess what are the core areas Indian IT professionals and young graduates look for to bridge the learning gap. We have tried to make this survey as comprehensive as possible to get a complete understanding of the roadblocks faced in this sector. We tried to take into consideration the variations in course formats, tools used, work experience of the students and the monetary aspect, in this survey. We took opinions from all those who practice data science — from young professionals to fresh graduates — to get a thorough idea of the upskilling trend in this swiftly-developing area. 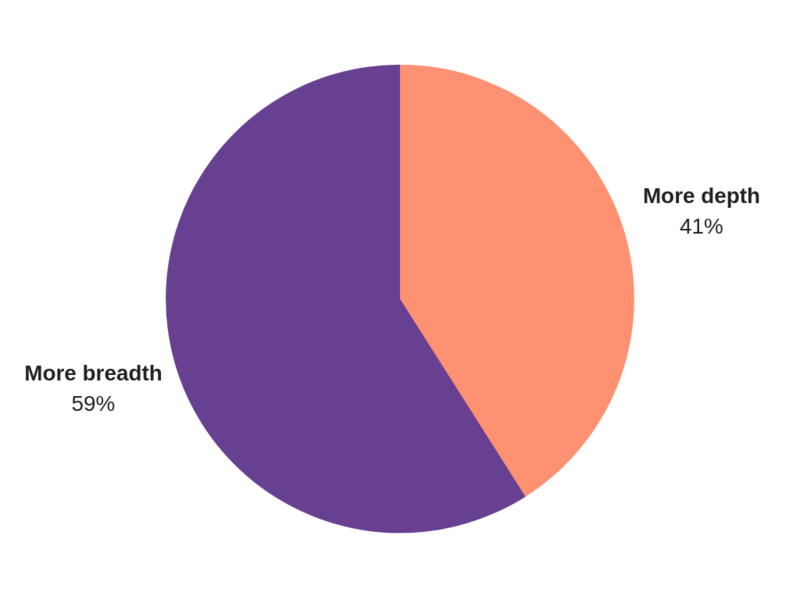 Our survey was met with much enthusiasm — and we received 1275 responses. Some of them were expected, and many of them were real eye-openers. So here are criteria which students use to select a data science or analytics course. What is the most important factor you consider in Data Science or Analytics course? The most important factor for most students is course content in a data science programme, with over 26% choosing it over other factors. The second most important factor is the kind of projects the course offers their students for a more hands-on experience. Over 18% students rated it as important. The next key element in a data science course for students is placements — either in the form of jobs or internships — with close to 16% respondents voting in its favour. What duration of Data Science or Analytics programmes do you prefer? We divided the question into two separate sections: Short-term vs long-term programme and full time vs part-time programme. Interestingly, most students prefer short-term and part-time programmes. Over 66% of our respondents said that they would choose short-term programmes over long-term ones. Almost 55% of the students said that they would prefer working with a part-time programme rather than a full-time one. Senior professionals look for short term programs, over 78% professionals with 10+ years of experience are looking for short term programs. Similarly, Senior professionals look for part time programs, over 84% professionals with 10+ years of experience are looking for part time programs. Professionals with less than 5 years of experience are looking for full time program, around 55% say they prefer full time. What format do you prefer for Data Science or Analytics courses? 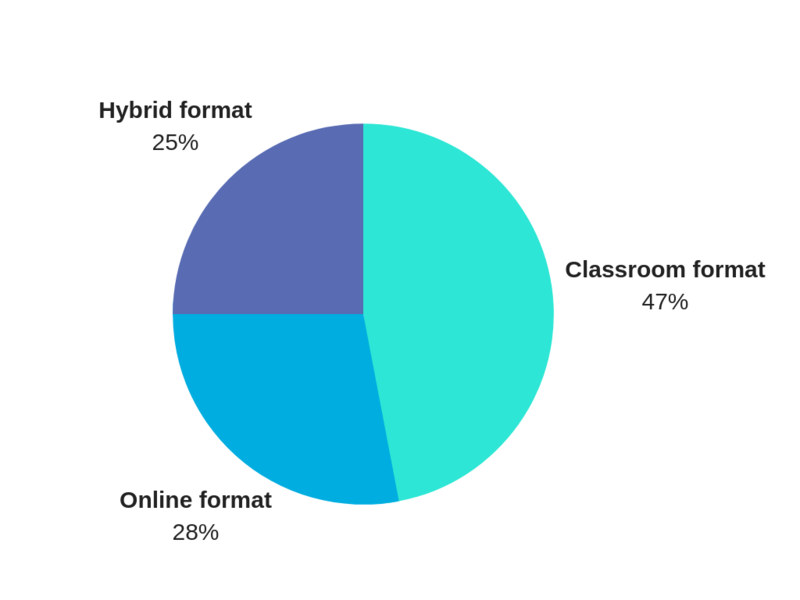 Interestingly an overwhelming number of students, over 47%, preferred the old-school classroom format of education. What kind of content is most palatable for learning? Most young graduates of professionals who want to upskill use some or the other method of online learning. 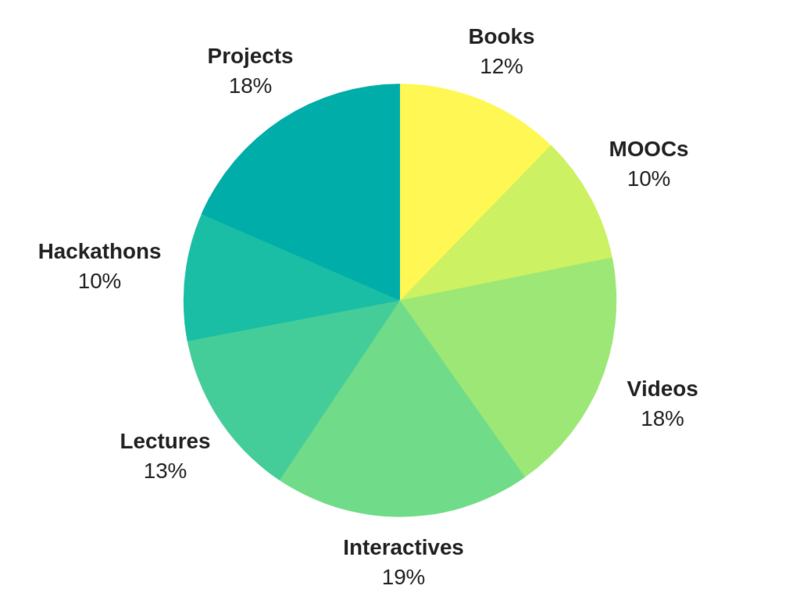 While many use books, others prefer MOOCs or tutorials. We tried to pinpoint which learning method was the favourite for upskilling. Since this was a multiple choice question, we got a fairly well-distributed set of answers. Among them, interactive (hands-on) sessions emerged as the top contender with 19% votes. 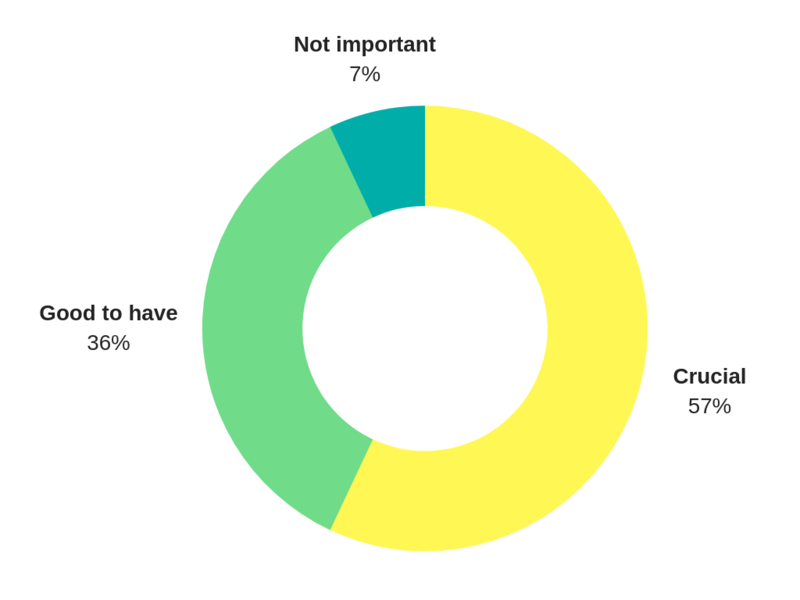 Videos and projects were the next favourites with 18% respondents choosing them each as learning methods. What is the learning curve students aspire for in Data Science or Analytics Certification? When does industry collaboration come in handy? 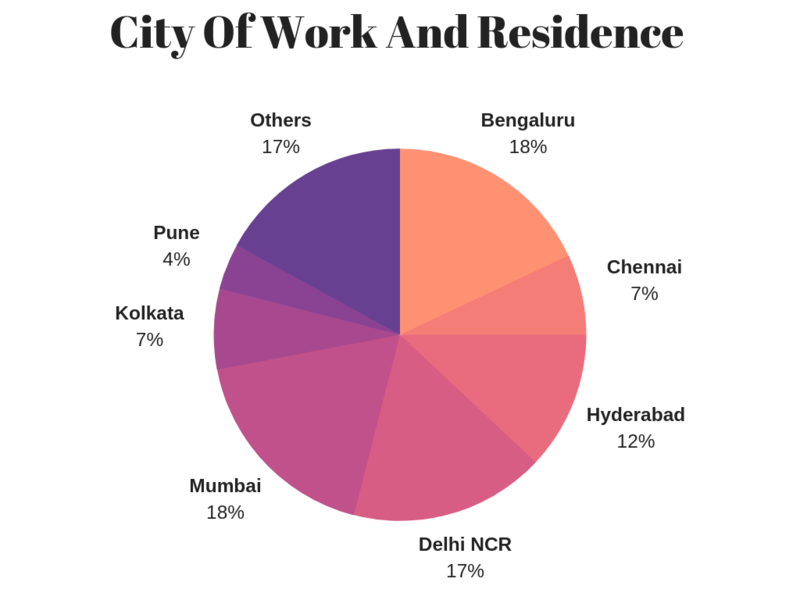 Most of the upskilling that takes place in the data science and analytics sector is with the aim of bettering jobs, profiles and opportunities. So when these courses offer industry collaboration, we wanted to know what was the thought behind them, and whether the institutes were on the same page as the students. Contrary to popular belief, one of the key things that students look for from industry collaboration is the hands-on experience with projects. That’s why it gained 39% votes. 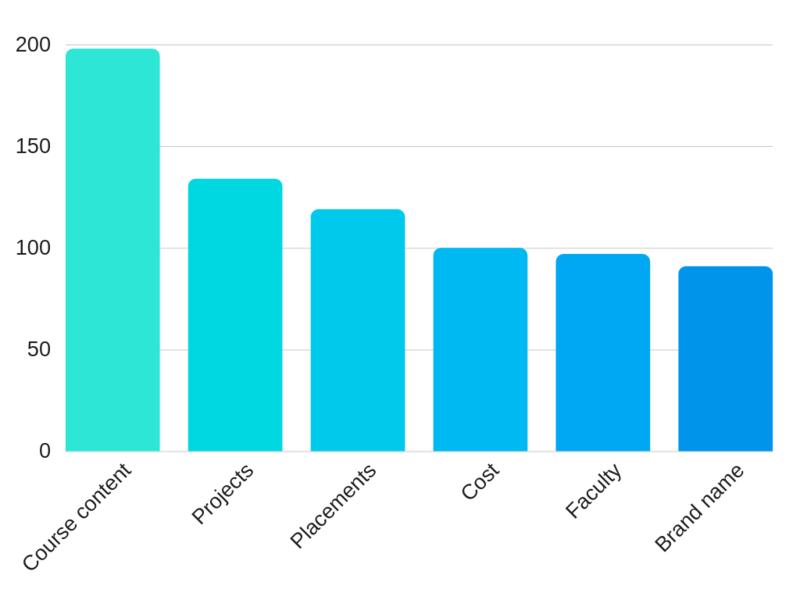 23% of the respondents were of the opinion that the industry collaboration would offer them the opportunity of learning from working professionals. Job opportunities and Capstone projects are greatly looked forward to while joining upskilling courses. The results here are therefore very obvious. 57% respondents asserted that internship or placement opportunities are crucial in an upskilling programme. What is the best time to enrol in a Data Science course? 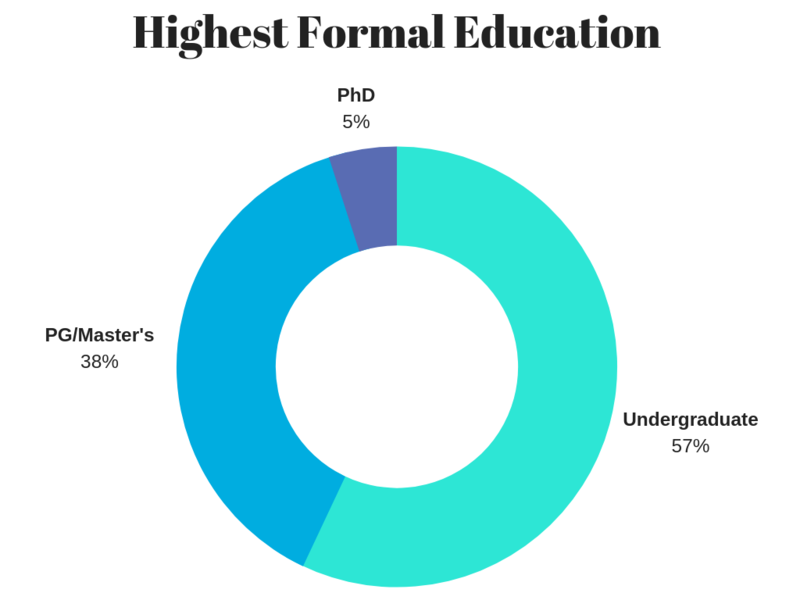 A majority of the respondents, 43%, have said that it is better to go for these courses right after graduation or post graduation. How much are students willing to pay for the courses? Most working professionals and students consider upskilling in data science or analytics an investment. This is because once they gain the knowledge, they have more room to grow and climb up the corporate ladder. 35% of the students said that they would not pay more than ₹12,000 for a course in data science or analytics. This price bracket clearly indicates at online programmes. 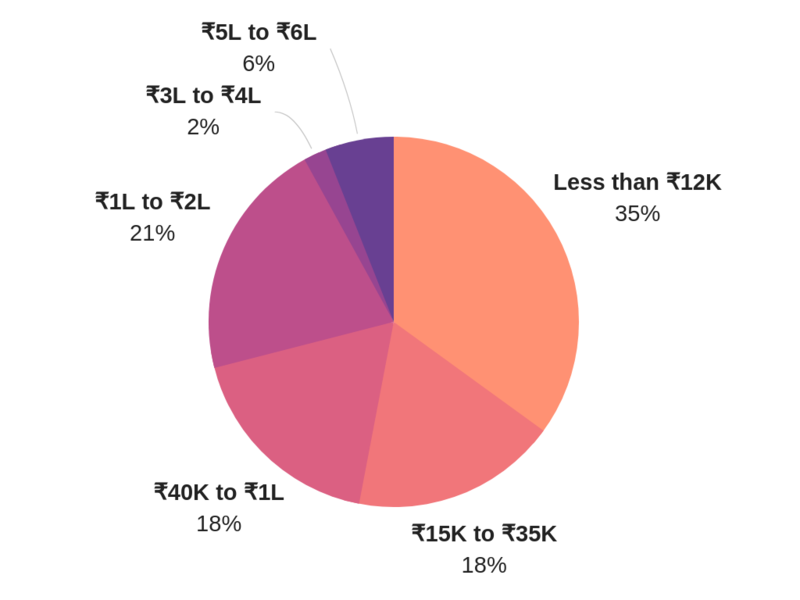 Interestingly 18% of the respondents were willing to pay between ₹15,000 to ₹35,000 and ₹40,000 to ₹100,000 each for a course. This showcases that there’s a gap for mid-level, short-term courses in data science and analytics.